Yesterday around 20 members of Purdue Student Government took a trip to the statehouse in Indianapolis. They were set up in the north atrium and met with lawmakers, many of whom were Purdue alumni. Conversations were focused on thanking lawmakers for their continued support of higher education and sharing stories of college experiences. They also spoke as a group to each of Purdue's local representatives: Rep. Sally Siegrist, Rep. Sheila Klinker, and Sen. Ron Alting. The goal of the trip was not to lobby, but to foster relationships within the Indiana General Assembly. Through these relationships, PSG hopes to stay in communication with lawmakers regarding legislation authored for future legislative sessions. Like most people, I occasionally found it hard to get excited for a workout. I knew that working out is good for me, but there is always something I would rather be doing. To try to break this cycle, I decided to try the Group X classes at the CoRec that I had heard many of my friends rave about. I knew that if I could be part of a class, I would be more willing and excited to go to the gym. I was surprised at how many classes were offered every week, after finding the Group X schedule online. Classes such as Zumba, Yoga, Barre, and Total Body Conditioning are offered during most hours of the day, so you are bound to find a class at a time that you are able to attend. The classes are taught by Purdue students who are all extremely passionate about fitness and about helping their students reach their highest potential. The instructors are focused on making sure that you do every move in the healthiest way possible so you don’t injure yourself. In order to go to a class, you have to have some form of a Group X pass. The full Group X pass will get you an unlimited number of classes for the entire semester. Lucky for you, on February 1st the price of the full pass was reduced from $50 to $40. This means it’s the perfect time to buy one! However, if you want to try just one class before committing to the full pass, like I did, you can go to the front desk at the CoRec and ask for a one-day pass. This pass is $5, and it gives you access to a day of classes so you can make sure that you enjoy them. We have all heard about the benefits that exercising has on the brain, so why not use Purdue-provided programs, like Group X, as both a study break and as a way to strengthen your brain? Purdue Student Government—You’ve heard it said. You’ve read it in print. You know it’s divided into three branches: executive, judicial, legislative. But other than that, you’re likely in the dark. So I did the footwork for you. Over the weekend I interviewed Senator Dalton Daily of the College of Education, and hopefully his answers to my questions, the same questions you likely have, will shed some light on what PSG does and why they do it. 1) What motivated you to get involved with student government? I was encouraged to get involved in Purdue Student Government by an advisor in the College of Education late into my freshman year. There was an open seat, and after an interview, I was chosen to fill the empty Senate seat for the 2016-2017 school year. As a social studies education major, I am very interested in learning about, participating in, and later teaching government and governmental practices. I do not currently have any intentions of running for office after my time at Purdue University. My main reason for participating in Purdue Student Government is to ensure the great College of Education has a voice on campus. 2) Does the College of Education have any unique interests or goals? [The College of Education] is the smallest college on campus that has representation in the Purdue Undergraduate Student Senate. My constituents in the college are very involved and are often very concerned with issues like diversity, inclusion, need-based scholarships, and opportunities for women and minorities on campus. There is a great connection between our college's student council, the Purdue Student Education Council, and the senators that represent the college in Purdue Student Senate. As education majors, I would say we are more concerned with how professors and the teaching staff work than most other colleges. 3) What have you accomplished so far in your position? This year, I have been honored to serve as the president pro tempore of the Senate in addition to being a senator. This title is a similar to the Speaker of the House in the national government. I represent the legislative branch of Purdue Student Government in cabinet meetings. I am in charge of all the Senate committees, and I also do a lot of administrative duties and behind-the-scenes work to make sure Senate runs smoothly. I wrote a resolution on a potential needle exchange on campus, which enabled a great amount of discussion and debate, which I feel is important. It is the job of Purdue Student Government to have these conversations so the best choice can be made for the betterment of Purdue. Recently, I've been able to sponsor and vote for a resolution titled “Purdue Student Government Opposes Roommates for Resident Assistants.” This resolution attempts to ensure resident assistants are best able to do their jobs and continue to have a fantastic impact on their residents. These are just a few examples of what Senate has done this year, and we look forward to tackling more important issues on behalf of the student body. I would encourage anyone who is curious about Purdue Student Government, or wants to see a positive change made on campus, to reach out to their senators. Purdue’s chapter of Habitat for Humanity gives students hands-on experience constructing houses for families with low socioeconomic backgrounds in Lafayette and in the surrounding communities. This year the chapter is celebrating its 30th anniversary as an organization! 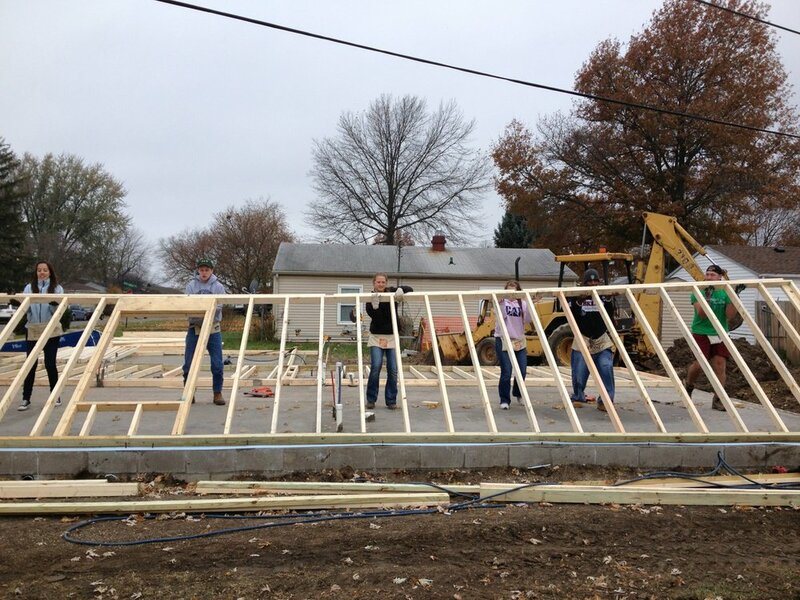 Typically, fifteen to twenty students go on Saturday builds to Lafayette and Crawfordsville to assist with Habitat for Humanity projects. Each member who goes on these builds is assigned a task, which includes framing, insulation, cabinetry, or painting. Students do not need previous building experience because there is on-site training provided. 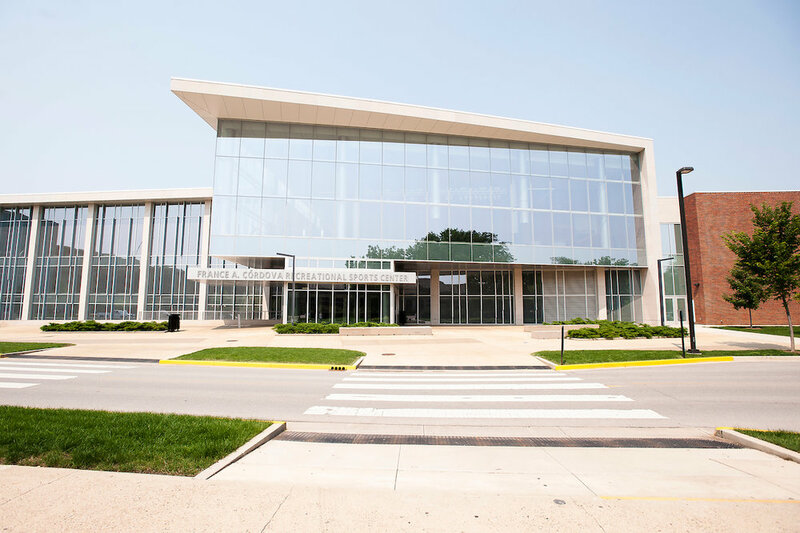 Additionally, Purdue’s Habitat usually hosts a two-hour Zumba marathon on campus every semester, which is open to all Purdue students and faculty. This semester’s Zumba sessions will be taking place before spring break. During spring break, however, students take on the Collegiate Challenge, for which they travel to different countries to work with other university students on promoting and working on affordable housing. This semester twenty Purdue students are going to Holland, Michigan and Newland, North Carolina. Another group of twenty-one Purdue students and faculty are traveling to Las Penitas, Nicaragua, where members are given a chance to give back on an international scale by building houses for the community. Not only is this experience rewarding, but it allows members to explore different countries and to take part in cultures different from their own. Finally, in May, the Habitat hosts a 450-mile Fun Bike Ride starting in Lafayette and ending in Indianapolis. This bike ride is a great chance for students to make new friends, to release some stress from finals, and to see the beauty of central Indiana. Habitat for Humanity’s mission is to provide affordable housing to numerous communities across the globe. Purdue’s chapter of Habitat for Humanity is passionate about achieving this goal by building houses and eliminating poverty. Students who are interested in becoming a member and participating in future events and trips can visit the Purdue chapter’s website. With Valentine’s Day upon us, there’s an intense pressure to make plans in the midst of assignments, midterms, and other obligations. To alleviate some of this pressure, I have compiled a list of events you and your sweetheart can enjoy without breaking the bank. From 5:00-9:00 p.m. on Valentine’s Day, Sagamore restaurant in the Union is hosting a three-course Prix Fixe dinner for only one meal swipe +$5! Treat your significant other to a night out, complete with fine dining, live music, and photography. Reservations can be made by calling Sagamore. For those looking for some last-minute gifts, the Horticulture Society is selling roses on the fourteenth in Lilly Hall lobby from 9:00 a.m. to 4:30 p.m. and in the Union near Starbucks from 1:00 p. m. to 4:30 p.m. Starbucks on Third Street is also selling gift baskets filled to the brim with mugs, chocolate, and coffee for your caffeine-loving sweetie. These can be purchased with dining dollars so you can give a great gift without spending a fortune. Be sure to keep your eye out for the Purdue Musical Organizations this Wednesday too. Their annual Singing Valentine fundraiser is underway, and they are all over campus spreading love. For those with someone coming to visit, now is a great time to show them what Purdue has to offer. Take them bowling at the Union Rack and Roll and afterward grab a shake at Pappy’s. When all else fails, a movie night is never a bad idea. All dorms have televisions and movie rental available. Cuddle up and escape the cold with this classic date idea. Whatever you decide to do this Valentine’s Day, Purdue and its many organizations have the resources you need to make this February 14th a special one. Do you often find yourself looking for a snack right after dinner? Forget that! Prepare yourself for a whole new world of easy dorm room recipes. In order to succeed as a chef in your dorm room, it is crucial to have a microwave and a mini fridge. Whether you’re in a hurry for class or you have time for a leisurely breakfast, you have options. Microwaveable eggs is an ongoing hit. In order to make scrambled eggs in the microwave, spray a cup or mug with oil, then crack one or two eggs into your cup/mug. Put them in the microwave for twenty seconds, flip, mash, and stir. Then repeat. If you’re craving something sweeter, go ahead and prepare yourself a cookie in a mug. You deserve it! This simple recipe is healthy and delicious. In order to make yourself an oatmeal cookie, you will need a microwave, a large mug, oats, peanut butter, syrup, and brown sugar. First, place a half cup of oats in the mug, followed with one cup of water. Stir together and heat in the microwave for about forty-five seconds. Then, after the oats have softened, add in one tablespoon of peanut butter, a splash of syrup, and a tablespoon of brown sugar. Stir together, pop back in the microwave for thirty seconds, and voila! You have yourself an oatmeal cookie in a mug. If you find yourself with more of a hearty craving, the pizzadilla never disappoints. For this you only need two or three ingredients: two tortillas, your favorite cheese, and some pepperonis (if you want to get wild). First, lay down one tortilla on a plate and add your desired amount of cheese (and additional toppings if you want them). Then lay the other tortilla on top. Heat in the microwave for about one minute. There you go! That’s it. Another option is nachos. The ingredients are similar, but include a few canned vegetables. Microwaveable nachos are great with your favorite cheese, canned chili beans, corn, tomatoes, and tortilla chips or crackers. For this dish just place the chips on a plate, spread cheese over them, and microwave for about thirty seconds. Once the cheese has started to slowly melt, remove the plate and add your toppings of beans, corn, and tomatoes. Finally, put it back in the microwave for another additional thirty to forty seconds—and your dinner is complete! As our second semester chugs full steam ahead, feel free to treat yourself to one of these recipes. You won’t regret it.